I don't know about you but the weather here in Melbourne is finally starting to warm up.......finally!! The sun has been peaking through the clouds quite a bit lately and as soon as we see that tiny beam of light we are outside enjoying every bit that we can. The girls throw on their shorts and t-shirts, otherwise known as me digging through their closets trying to find any form of clean clothing to shove on only for them to get dirty again.....ahh the joys of motherhood. We are outside any moment we get enjoying the sun, playing in the sandpit, going to the park, anything that involves being outside getting some of that Vitamin D.
Very soon though that sun is going to be beaming so strong that the second you walk outside is like walking into a brick wall of solid heat. Well it does that in Melbourne in the peak of Summer anyway. On days where the weather gets above 40 degrees celcius we all start to look for ways to keep as cool as possible but still enjoy the summer sun. 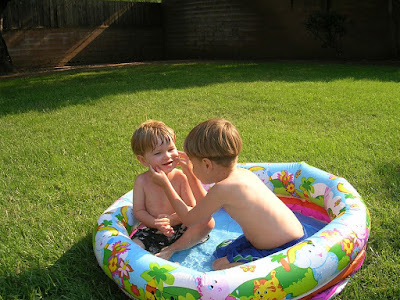 With young kids it is a little bit different, I spend most of my time battling between wanting them to be outside playing, slapping sunscreen over every bit of their skin and wanting to keep them cool and maintain a reasonable temperature. I love Summer but sometimes it's hard. These things are amazing and I swear I will never live without one again. If you don't have an air conditioner in your place then start saving, they are worth every cent. I have my home set to a certain temperature during the day, that temperature goes down a little in the warner months, but as soon as the temperature goes above my locked in guide the air conditioner turns on and cools the house down again. I LOVE LOVE LOVE it, I know the house will always be nice and cool even if it isn't outside. Whilst I have split system air conditioner at the moment I am hoping to install a ducted air conditioner in my next home, they are quite popular in the states that tend to stay warmer for longer, ducted air conditioning in Brisbane must be super popular. When the air conditioner is on the kids can basically enjoy their normal routine, including sleeps for the little one. She normally gets super hot and sweaty during her day sleeps in Summer, not with our trusty air con!! Night time I don't tend to keep ours running, unless of course it is a real stinker (as we call it here in Australia). Basically anything involving water is an amazing way to keep cool in Summer. I wish we had a pool but instead we have almost everything else in the above list. The sprinkler is always a hit with the kids, they get to run around, get wet and squeal while the sprinkler chases them, you can't go wrong. 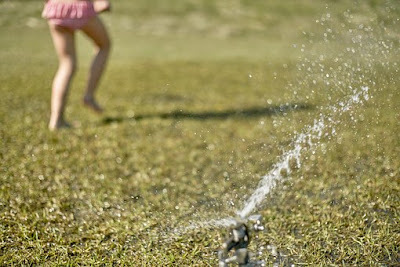 The hose is a constant form of enjoyment for the 2 kids......and their father, I can't decide who loves it more. We have a blow up pool with a slide attached to it, all you do is throw the hose at the top and voila, the kids have a water slide and mini pool. They don't care how big it is, as long as they can play in it and get soaking wet! There is nothing better than fresh fruit on a warm day, and sometimes it's nice to mix it up a bit and blend it all up in a smoothie, or even blend it and freeze it into ice cream moulds, this one is always a hit with the little ones. Summer fruits are so amazing, why not make the most of the great selection and stock up the fridge or fruit bowl. 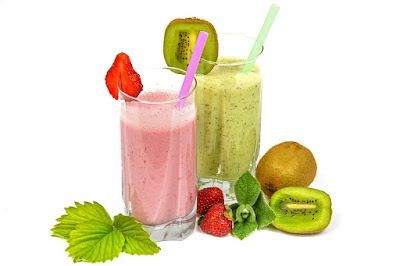 Every time my girls say they are hungry I always offer them a piece of fruit, they are getting a bit older now and starting to want other things, now I get to offer them a smoothie or a frozen fruit ice cream and they are thrilled, happy kids, happy mum, is that how the saying goes?? There are so many other ways to keep cool, eating salads and cold food instead of warm food, try and stay out of the kitchen as much as possible, let kids run around in their underwear, who cares when they are running around in your backyard, and of course wear protective clothing like hats and sunglasses. Always remember to put on sunscreen too. I wear sunscreen every day, even if it is winter. My daily moisturiser contains SPF because you never know when that sun might pop out and decide to pump up the heat, it is Melbourne of course, four seasons in one day as they say. I really hope this warm weather does keep going so the girls can really enjoy their backyard, even if it is only temporary (moving into our new house soon, will share progress asap). I know I know the warm weather has not quite made it to Melbourne yet. We get some beautiful days then BANG, the next day its raining. However, after all my wishing and hoping I think the weather is starting to turn around and before we know it the sun will be out and we will be kicking ourselves for not getting ready for summer before now. So throw on your rain coat and get outside and start getting your home ready to summer. Ready for those steaming hot days of splashing in the pool, sunbacking, catching up with friends on the decking with a BBQ and a drink or even just having a picnic with your kids on the grass. However you choose to spend your summer now is the best time to get prepared for it. So where to start you ask?? Well here is a good list to get you going.. If your weather is anything like it is here in Melbourne, Australia then I won't even need to explain why this part is essential and is on top of the list. The Summer weather here can go well above 40 degrees celsius, so hot, add a bit of wind and it is basically asking for a fire to erupt, we have constant fire warnings in the middle of summer so it is super important to make sure your home is ready for the worst. So get up that ladder and clean out those gutters. I have family who live in country Victoria surrounded by bush, these people will often pack a box with all their valuables weeks before the peak of the summer weather so they have it ready should they need to evacuate quickly. Such a smart thing to do, get your family ready just in case, have a fire plan in place and make sure everyone knows what to do. Jump on the CFA website and have a look at their Fire Ready Plan. On those super hot days it is so great to be outside playing and enjoying the sun but it is also great to have a break from that when it all gets a bit too much. If you have any older people living in the house or even little babies/kids like I have in my home it is really important to clean the air conditioning filter. I can't say I have done this myself but last time I watched someone do it they broke the whole air conditioner and they had to wait a few days to get it fixed, no one wants to be stuck in the heat with a broken air conditioner. So rather than cleaning/fixing it yourself, why not get the experts to do it for you. It can be a bit risky dealing with electrical products without the proper knowledge so make a call and reduce your stress by getting someone in to do the residential or commercial air conditioning repairs. Let's not forget that a lot of us have to go to work each day and would rather not be sweating while we're trying to work. The last thing you want is to finally get the sun out and not be able to cool your home or office down. Imagine, you pick up your air conditioning remote, press the on button and oh oh........nothing works. Then you're stuck with sweaty armpits and that uncomfortable feeling until it gets fixed, why not get in before that happens. Who likes to clean their windows???? NOT ME!! However as much as I hate cleaning the windows, I dislike it even more when I pull back the curtains to let the beautiful sun come through and see finger prints, dirt and all forms of smudges blocking the view. I might be the only person that feels this way but I can tell you right now that you will be so incredibly satisfied once you have finished it, you will really embrace that view even more! And besides, the amount of dirt on our windows (landscaping our yard has made it a bit messy) meant that I could barely see the kids running around in the backyard at all, dirt smudges the size of footballs. If you are one of those lucky home owners who have pool in your backyard then.......I'm jealous! Aside from that, get that pool clean and ready for the first warm day to hit so you can embrace it. I would love a pool to play in when the warmer weather comes, however I'm not one of those lucky people so if you're like me, make sure the sprinkler works. Go and grab one of the blow up pools or the cheap shell pools from Bunnings Warehouse for the kids to play in. I always like to make sure my grass has survived the winter, and if not, just before the warmer months hit us I will put some lawn seed down to fill the gaps so the kids get great grass, other than weeds and dirt. It makes it so much easier to run around and play games or have that little picnic on the grass. It is a simple thing but can make a big difference. By fix I don't necessarily mean get out the nail gun and buy some wood, unless of course that is needed. What I mean is get out the hose, give the decking a really good clean. Get rid of any rubbish or left over junk from the previous months. Wipe down all the furniture and get rid of any spider webs, throw the cushion covers in the wash and maybe even replace the inserts if necessary. Aside from the decking one of the other most important things I like to tackle is the BBQ. Pull everything off and give it a great hose down, make sure the gas bottle is full because as soon as that sun comes out we are outside enjoying it and eating pretty much every meal on our newly cleaned decking and decking furniture. Dig out the kids outside toys and clean them up, throw them in the dishwasher if you like, so much quicker and easier. Hose down and wash anything bigger that needs a clean and you're ready to go. Even the most house proud people can sometimes become unintentionally blase about their property. We spend nearly every day of our lives in our homes - so seeing the same things every day means that we start to stop noticing the little things. In a way, it's almost like becoming immune to the appeal of your home. But there are some people who will always notice every little thing about your home, and these people are guests. Of course, we all tidy up a little bit before guests arrive; picking up your child's toys here and there, and giving the surfaces a wipe down. But guests can be picky, and if they've never been to your house before you're going to want to make the ultimate first impression. Here are the unusual things that guests will notice about your home, and what you can do to make sure you always defy expectations. Your home from the outside is the first thing people see when they arrive. 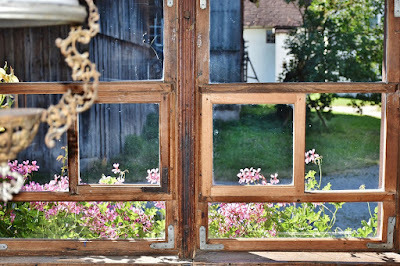 But even with that in mind, it tends to be one area that a lot of us neglect in favour of the inside of our properties. But if your home's exterior is looking a bit lacklustre, there's never been a better time to improve it. Get your old lawnmower out of the garage and give your lawn a little bit of love. An unruly, unkempt lawn only gives the impression that the inside of the house will be like that also. 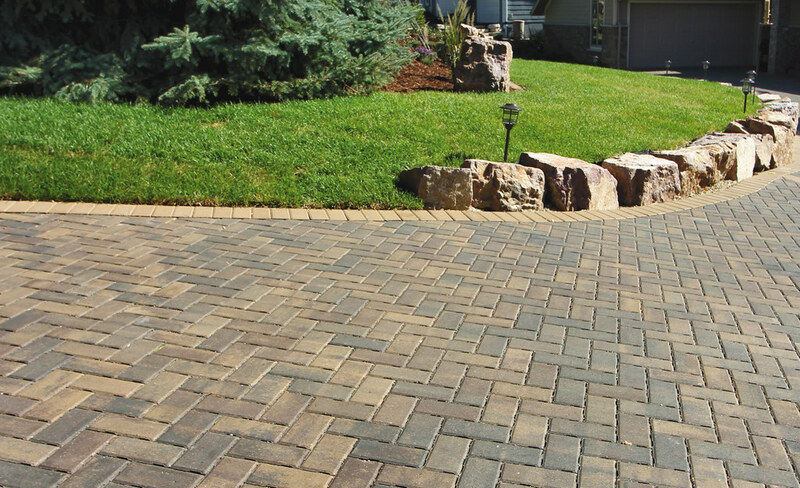 Don't forget to spruce up your driveway too - a company such as Driveway Sealers will be able to help you make it look as good as new. A lick of paint on your front door and a couple of potted plants either side will also help to give it a new lease of life, and a welcoming look for any visitors. The hallway is the first part of the interior that you guests see. Plus, it is where they will probably store their possessions whilst they are in your home. Therefore having a clean and organised entryway is critical for giving your guests a good impression of your home. A good chest of drawers means you can pop things in there that would otherwise just clutter up this area - post and keys, amongst other items. Instead of slinging coats over the bannister, get a rack of hooks for people to hang their coats on. This is courteous, as they don't need to worry about their coats getting creased this way too. Going 'nose blind' is something that happens to all of us at some point. We spend so long in our own homes that we can often become oblivious to certain odours, especially those that hang around for long periods of time. However, there is nothing worse than being a guest in someone else's home and having to put up with a less-than-appealing smell the whole time! Ask a trusted friend honestly if your house smells, and if so, set about freshening it up. Make sure you air your house out by opening windows regularly and using odour eliminating sprays. If you can't stand the artificial smell of these sprays, scented candles and incense sticks do the job just as well. When you are trying to put your home up for sale, it can be difficult making sure that you have done everything right. Even if you have been through the process many times before, it is possible that you might forget a couple of the most important aspects. The truth is, with real estate the devil is often in the details. If you are hoping for a quick and easy sale on your home, then you need to think about both the smallest and the largest things. In this article, we are going to go through four things which are frequently overlooked - to much effect. Let’s take a look at what they are, so you can avoid the same fate. The first thing that people see of your home is often the most important. As with people, first impressions really do count - and you only get one chance at them. As such, it is vital that you work hard to ensure that your home presents itself well from the first sighting. Achieving this is mostly a matter of keeping the front area clear and tidy. However, you might also want to paint the front door if it has been a while since its last paint job. You might even want to hang a new door knocker. All of these little things can add up to make a big difference. If you get the first impression right, really most of your hard work is done. For more on kerb appeal, see http://www.leaders.co.uk/pages/selling-your-house-guide. It is often tempting for people to try and skirt over some of the basic stuff. They think that they can avoid dealing with essentials like utilities, as viewers won’t notice. But the fact is, the people viewing your home are going to be much savvier than you probably realise. It is a good habit to assume that people will be checking on every tiny detail in your home. That means that you want to make sure the plumbing and electrics are all completely up to scratch. Any problems in this area, and people are likely to notice quicker than you think. You will probably find it easier to get a professional in for this. Take a look at http://www.plumberrozelle.com.au for an example of such a professional. There is a tendency among people selling their homes to try and keep it full of character. In a way, this does seem to make sense. 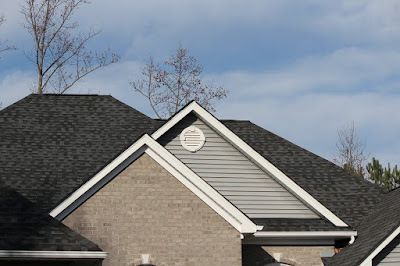 After all, what is wrong with a home having a little character? However, the truth is that if you want it to appeal to as many people as possible, it is much more sensible to keep it neutral. Neutral colours ensures that you gain as much interest in your home as possible. No matter how much it might pain you, it’s time to paint over those beloved bright colours! Finally, don’t underestimate the importance of a tidy garden. There is nothing worse than a pristine house being ruined by an unruly garden. If you leave the garden in a state, it gives the impression that you don’t really care. Work hard instead to keep it as clear as possible. Give Your Bathroom A Touch Of Luxury - Whatever Your Budget Is! 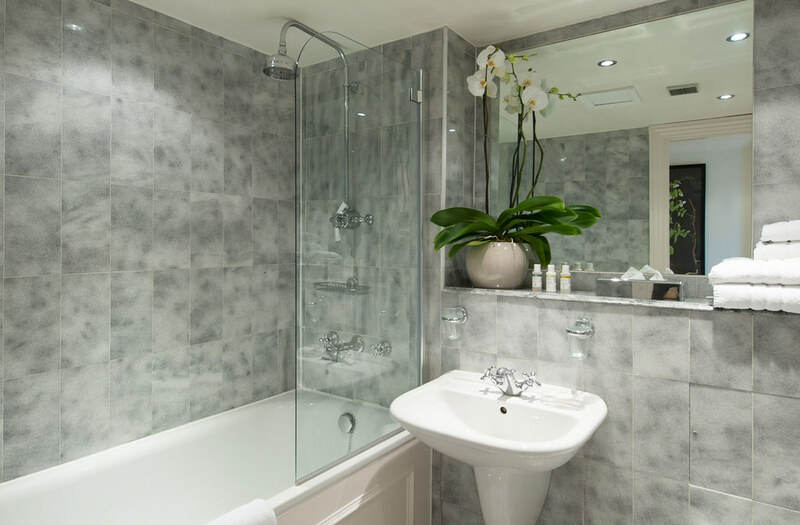 Whether you are renovating your home for yourself, or if you are planning to sell it, investing in your bathroom can be very worth your while. 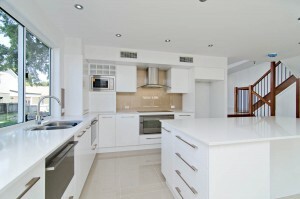 However, it is also one of the most difficult rooms to renovate, second only to the kitchen. After all, unless you're an expert, no one really wants to be messing around with plumbing and electrics. But thankfully, there are things you can do to make your bathroom appear more luxurious no matter the size of your project. If you are sick of the sight of your bathroom, it could be time for a renovation. The idea of this can be daunting, and you will need to speak to some experts who know all about bathroom renovations. But if you have a lot of separate issues in your bathroom at present, doing a full-scale renovation is probably your best bet. It can be the perfect opportunity to transform a tired old washroom into a modern paradise. Standalone tubs are the epitome of spa-chic, and consider installing dark wooden furnishings for a refined look. When choosing your color scheme, speak with a designer or look at luxury home magazines for inspiration. If you have a bit of money to put behind your renovation but don't want to rip the whole bathroom out, you might want to do a mid-scale renovation. The main bulk of this job could be replacing one main aspect of the room. For example, you may want to lay down some new tiles, or repaint the walls and ceiling. Installing a huge mirror is also a quick and easy way to If there's any room in our home that should scream luxury, it's got to be the bathroom. 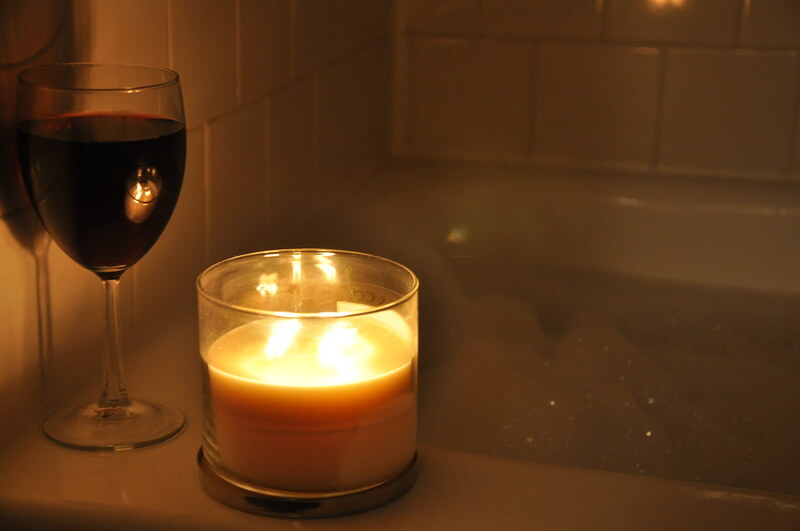 Bathrooms symbolize everything to do with 'me-time' - bubble baths, skincare and generally an environment thaadd an element of luxury to your bathroom, and it makes the room look much bigger, too. Your lighting is also an integral part of your bathroom and one than can either make it look super-chic, or very cheap. Many old bathrooms had ugly strip lighting installed, which can be harsh and unflattering. Instead, consider installing spotlights, to imitate a relaxing hotel bathroom. If you can find ones that work with a dimmer switch, even better - that way, you can control the ambience of your bathroom at the flick of a switch. If you don't have a great deal of money to redo your bathroom with, don't panic. There are actually a lot of small things you can do that will make a big difference to the overall appearance of the room. One of the most important things is to make sure everything has its place. Even the most beautiful of bathrooms will look unkempt if there is mess everywhere! Even simple things like buying a soap dish - rather than having your soap balancing on the edge of your skin - can make a huge difference. Mason jars for storing cotton wool and clothes can also look adorable, and a towel rack never goes amiss. Look in thrift stores for some interesting pieces you won't be able to get anywhere else.